South Coast MedSpa (SCMS) offers hope for sufferers of acne scarring and skin pigmentation with our state-of-the-art treatment. 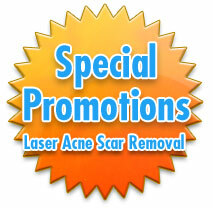 Acne scarring does not have to be a lifelong problem; there is an opportunity to once again have healthy, glowing skin. 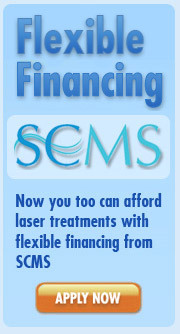 The SCMS laser for acne scars actually resurfaces the skin, dramatically improving its texture and appearance. Every day we face a barrage of stimuli – internal and environmental - for which our skin pays the price. Only those who have suffered – and continue to suffer – from acne, can understand just how high a price is paid. Our face is what we show to the world and when acne is an issue it can lessen our ability to face the world with confidence. Unfortunately, as many acne sufferers also learn, the actual episodes may just be the tip of the iceberg as acne scars can be left in the wake of a breakout. Acne is a result of the skin’s inflammation – caused by our body’s natural secretion of oil that can clog our pores. When the pores become clogged, bacteria and dirt can collect and the inflammation that results is the body’s way of expelling what it considers to be foreign matter. This inflammation can cause damage that can result in acne scars – permanent reminders of what has essentially been an injury to the skin. Our revolutionary acne scars laser treatment removes outer skin damage using a fractional CO2 laser – a resurfacing technique that has shown exceptional results in treating the areas of discoloration closer to the skin’s surface and penetrating deep into the dermis, eliminating damaged cells and stimulating the growth of new collagen. This treatment actually peels away the top layer of skin – and along with it dead skin cells, enlarged pores, scars, and more. Underneath is the beautiful, healthy, new skin you’ve always wanted – waiting to be discovered. Collagen is stimulated for up to 6 months and this new collagen regeneration lifts and supports the skin's surface – dramatically improving texture, appearance, and even showing marked improvement with skin laxity. This production of new skin cells, in combination with collagen stimulation, will dramatically improve the appearance of acne scars. Depending on the depth of the scars some patients may require anywhere from 1 to 3 treatments for acne scar removal. Our state-of-the-art technology has captured interest from patients worldwide who are interested in learning more about what we consider to be the best treatment for acne scars - making South Coast MedSpa a world renowned laser acne scar removal center. If you are concerned with acne scarring, take the time to learn more about how our acne scars laser treatment can help you deal with your own acne. Cost…Laser treatment varies by type and length of procedure(s); we are happy to answer any questions regarding specific pricing. 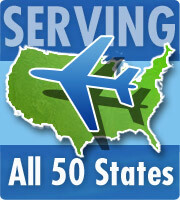 Additionally, we are always available to answer any questions you have about our procedures. Thank you for visiting South Coast MedSpa. We know what it's like when people are looking at your scars instead of your eyes. We look forward to helping you say goodbye to acne scars – and hello to beautiful skin! Click here to find out how this laser can help you "Tighten, Tone, and Texture!" "I'm getting compliments all the time after only my first procedure. Don't waste your time looking for other places. This is the place to be." Henry - Garden Grove, CA. "It's a life changing experience!" Sarah - San Diego, CA. "South Coast Medspa has helped me get rid of my acne scars!" Justin - Irvine, CA.